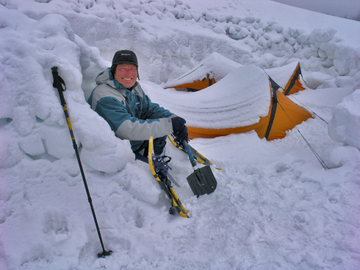 These early years instilled within Mike a deep connection with the Australian Alps. Drawn back into the mountains time and again to explore this unique area, Mike's camera became a tool to record the unforgettable images of the Snowy Mountains. What began as a hobby has become a passion. For Mike, the underlying principle is an appreciation and love of the outdoors. His images reference journeys through the mountains, visions of the natural world to share. Feeling love and a connection for each other and the environment is the first step to finding peace, happiness and compassion in a busy world. Mike has won many photographic awards. Most recently, in 2013 his photo "Mt Geryon" was selected from over 250 entries as a contender for the 2014 IceInSpace Astronomy Calendar. From 1981 to 2005 Mike owned and managed the Paddy Pallin Outdoor Adventure shop in Jindabyne. 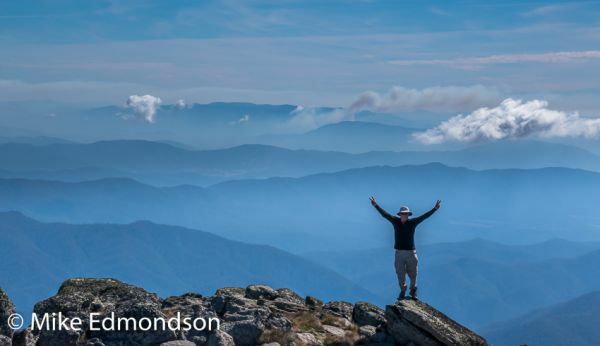 From here he started guiding people into the backcountry of Kosciuszko and used his photography skills to market the business. He also opened the first photographic gallery in Jindabyne - showcasing the very best of his alpine photography. Most of Mike's images are taken with a Linhof Technorama 617, Nikon FE2 and F90 Film Cameras, as well as an Olympus C-8080, Nikon D700 and Nikon D800E Digital Cameras.